Travel Revue – 5 Amazing Ibiza Experiences: One of them is Pura Vida! 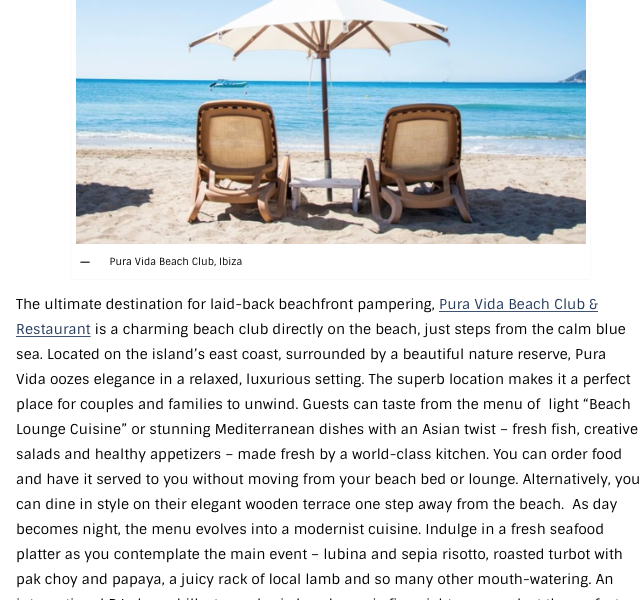 Our Alexandra Sixt, owner of Pura Vida, Ma Chérie & Six Communications, gives the Travel Revue Magazine some tips for a perfect Ibiza stay! Apr 8 Happy couples, happy guests, happy staff, happy people! Subscribe Now to get regular News, Updates and secrets about Ibiza.